Rodgers & Hammerstein's PIPE DREAM will be recorded live at New York City Center's Encores! series this week, and released this Summer on Ghostlight Records. Produced by Rodgers & Hammerstein: An Imagem Company, this preservation of Rodgers & Hammerstein's 1955 Broadway musical rarity marks the first time an Encores! musical has been recorded live. 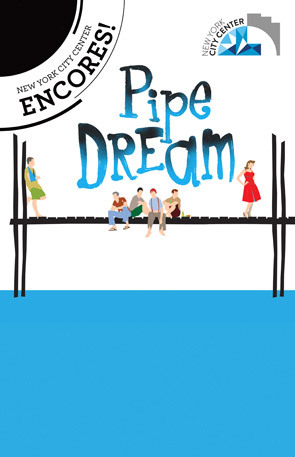 Originally presented on Broadway in the 1955-56 season, and based on John Steinbeck’s novels Cannery Row and Sweet Thursday, PIPE DREAM has not been seen in a full orchestral production in New York City until now. "In the back of my mind I always had the hope that the Encores! presentation of PIPE DREAM would be good enough to warrant a recording," says R&H President Ted Chapin. "Once I heard a run-through and the orchestra rehearsal at the end of last week, I felt we had to find a way to capture the remarkable performances of the cast and orchestra. Through a lot of quick action by a lot of extraordinary people, we were able to push the button to create a live recording. If we get lucky, this could be the way for future recordings of Encores! shows – and more of them." "We're always thrilled when an Encores! production gets preserved on a cast album," says Encores! Artistic Director Jack Viertel. "In this case we're doing something new -- a live recording of the actual performance -- that would have been impossible without the spectacular renovation of City Center itself, which included a new sound system that allows for multi-track recording. 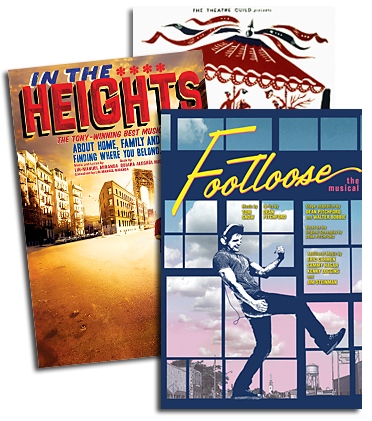 This particular show is so beautifully sung and played, and the score is so underappreciated, that I'm incredibly grateful to Ted Chapin and the folks at R&H that we'll have it to listen to for years to come -- forever, in fact." Bringing the score gloriously to life, to be captured on the Live album, is the Encores! cast which includes Will Chase as Doc ("All Kinds of People," "All at Once You Love Her," "The Man I Used to Be"), Laura Osnes as Suzy ("Everybody's Got a Home But Me," "The Next Time It Happens"), Leslie Uggams as Fauna ("Sweet Thursday"), Tom Wopat as Mac ("A Lopsided Bus," "The Party That We’re Gonna Have Tomorrow Night") and Stephen Wallem as Hazel ("Thinkin'"). For more information on the recording, visit Sh-K-Boom.com.